On the First Sunday after Easter, we see that there are fewer people in the pews than Easter Day. Guests who love to come down for the big Feast Days have gone back to their home parishes. Some who are seeking and came for the big day, but may not yet be “good soil”, are not here today (and we pray that as God works on them they will find their way back). Other regular parishioners are traveling back today from their holiday and we pray for their safe return. But I thank God that YOU are here today! We have not only our wonderful regular Sunday worship today, but two big additional events. After the 10:00 AM service we will go out to Montcalm street for our PRAY HERE FOR THE TIGERS service. This is an annual event, held the Sunday before the Detroit Tigers home opener. We pray God’s blessing on our neighbors, the Tigers, and all who are impacted by their presence next door. Additionally, we will also formally dedicate our new PRAYER WALL, which is set up on Montcalm Street. Already prayers are accumulating in the wall niches, and we will add prayers in our regular prayers for those using that wall. 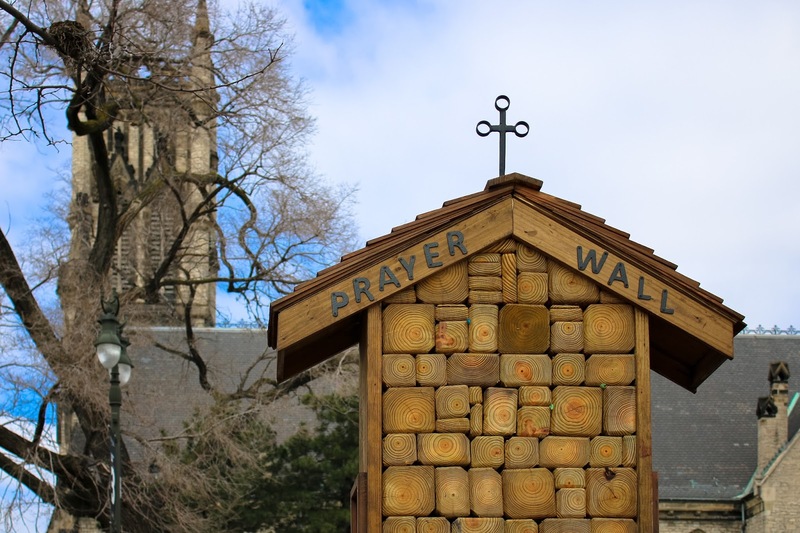 Additionally, parishioners are encouraged to go out to the wall regularly and say a prayer, asking God to hear the petitions of those who have inserted those prayers. This is a wondrous way to connect the parish and the neighborhood through the ministry of prayer. Thank you to Joe Alff for hearing the promptings of the Holy Spirit and putting this project into motion! Join us today, outside, for 15 minutes of grace and blessing as we pray for our neighbors, both at Comerica Park and those requesting prayers through our new ministry.